Material Costs. 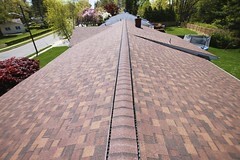 A professional roofing company that’s been in the business for some time can usually acquire materials for less. This means costing you less as well. They will many times buy products frequently or in bulk from the same retailer, giving them access to discounted prices. Experience. Your cousin who has done a few household projects is not the same as a professional roofing company. They have years of experience and knowledge. Not only that, non-professionals may not know all of the necessary steps and precautions to take. This could lead to premature repairs. Detailed Roof Inspection. A professional roofing company knows how to properly inspect your roof. They can identify the current causes for the existing issues requiring repair, as well as recognize other problems that can lead to future roof damage. In addition, roofing contractors have access to a wide range of tools, equipment, and technology. John from down the road may not have everything to do the job perfectly. Time. 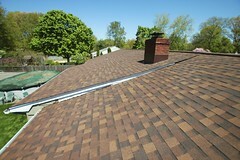 Most times a professional roofing company will be able to complete the project more quickly. They’ve done the process countless times and have multiple trained workers on the job. If an amateur roofer were to be able to complete the job faster, chances are good that they cut corners or forgot a little step or two. Safety. One of the more common accidents related to roof repairs are falling accidents. In order to ensure the safety of roofers, professional contractors have invested their own resources into the right types of safety gear and equipment needed to work on commercial roofs. They are licensed and insured for everyone’s physical and financial well-being. 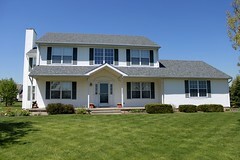 Looking for a Central NJ Professional Roofing Company? Biondo Contracting is a professional roofer that offers roof replacement services, roof installation services, roof repairs, siding services, and many other roofing services to the Central NJ area. They service towns such as East Brunswick, Livingston, Short Hills, Point Pleasant, South Brunswick, Hillsborough, Bernardsville, Bridgewater, Green Brook, Madison, Somerset, Millburn, Bay Head, Springfield, Manalapan, Monroe Township, and many more. 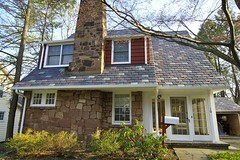 For more information on this NJ roofer, or for a free roofing estimate, call (732)257-2926 or visit the website.